Luke has been involved in health professional regulation at a state and national level, including the development of acupuncture accreditation standards for non-TCM health professionals, and has acted as an external Masters thesis examiner for universities in Australia and New Zealand. Luke has sat on the advisory panel for Chronic Pain Australia and the peer-review panel for two international scientific journals. He has published several research papers, articles and a book chapter on manual and movement therapy treatments for neuromusculoskeletal pain. 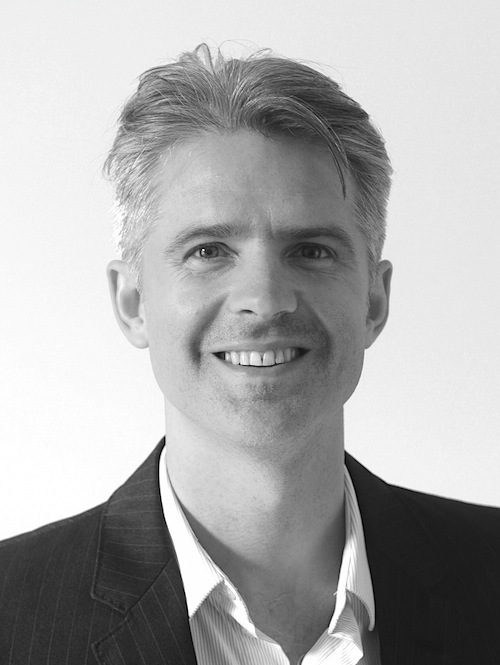 Luke has 17 years’ clinical experience and has practices as an osteopath in the Sydney CBD and in Bondi Junction. Lucas, N., Macaskill, P., Irwig, L., Moran, R., Rickards, L., Turner, R., Bogduk, N. The reliability of a quality appraisal tool for studies of diagnostic reliability (QAREL) (2013) BMC Medical Research Methodology, 13 (1), art. no. 111. Zegarra-Parodi R, Rickards LD, Renard EO. (2011) Measurement of Cranial Palpation Pressures used by Qualified Osteopaths- A Cross-Sectional Study. Journal of Physical Therapy. 2011;3(2):38-44. Rickards LD. Masterclass – Therapeutic needling in osteopathic practice: An evidence-informed perspective. International Journal of Osteopathic Medicine. 2009;12:2-13. Zegarra-Parodi R, de Chauvigny de Blot P, Rickards LD, Renard EO. Quantifying the effect of a standardized protocol for diagnostic palpation of the fronto-malar suture on palpation pressures used by osteopathy students. Journal of the American Osteopathic Association. 2009;109:79-85. McCarthy S, Rickards LD, Lucas N. Using the concept of ideomotor therapy in the treatment of a patient with chronic neck pain: a single system research design. International Journal of Osteopathic Medicine. 2007;10:104-112. Rickards, LD. The effectiveness of non-invasive treatments for active myofascial trigger point pain: A systematic review of the literature. International Journal of Osteopathic Medicine. 2006;9:120-136. Rickards LD. Research and treatment bulletin – The prevalence of shoulder girdle muscles with myofascial trigger points in patients with shoulder pain. International Journal of Osteopathic Medicine. 2012;15(1):30. Rickards LD. Research and treatment bulletin – What does local tenderness tell us about the source of cervical pain? International Journal of Osteopathic Medicine. 2011;14(2):68. Rickards LD. Research and treatment bulletin – Treatment expectations and preferences as predictors of outcome of acupuncture for chronic back pain. International Journal of Osteopathic Medicine. 2010;13(4):166-8. Rickards LD. Research and treatment bulletin – Diagnosing myofascial trigger points: a critical review of the evidence and clinical implication. International Journal of Osteopathic Medicine. 2009;12:42. Rickards LD. Research and treatment bulletin – Sacroiliac joint fusion and the implications for manual therapy diagnosis and treatment. International Journal of Osteopathic Medicine. 2008;11:116. Rickards LD. Research and treatment bulletin – Reassurance: help or hindrance in the treatment of pain. International Journal of Osteopathic Medicine. 2008;11:143. Rickards LD. Osteopathic medicine, or alternative medicine. Ostium. Summer, 2005. Rickards LD, Lucas NP. Using spontaneous patient-directed movement for the management of chronic neck pain: a single system research design.